Quadruple Grammy winner Texan star Kacey Musgraves headlines Nu Country TV Saturday April 6 at 9.30 pm on Channel 31/44 on the eve of her Australian tour. Fellow Grammy winning bluegrass band The Travelling McCourys debut on the program repeated Monday 7.30 am and Thursday 12 am. 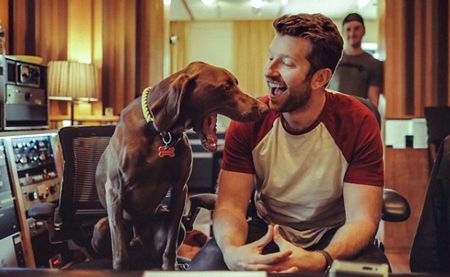 Illinois singer-songwriter Brett Eldredge returns to the show filmed and edited by Laith Graham before his Australian tour this month. Louisiana singer-songwriter Dylan Scott boomerangs after performing the 12 th CMC Rocks Queensland festival in Ipswich . Gippsland band Jetty Road and Adelaide combo The Heggarties also return to the program. Texan Kacey Musgraves proves why she won four Grammys including all genre album of the year. Musgraves won best country song for Space Cowboy , solo performance for Butterflies and country album Golden Hour. The singer-songwriter, also a presenter on the Oscars, performs an evocative song of optimism this week. Rainbow is latest single from Kacey's seventh album Golden Hour. Golden, population 200, is Kacey's Texas hometown. Kacey toured here in 2015 and performs St Kilda Palais May 14 with Canadian artist Bahamas , born Afie Jurvanen, 37, who is touring to promote his fourth album Earthtones. Musgraves, 30, has showcased several vibrant videos on Nu Country. Kacey also became an Uber driver to rescue Kelly when he was locked up in Nashville police cells for DUI in January, 2018. Kelly made the most of his time behind bars to write a new song for his second album that follows debut disc Dying Star recorded at Sonic Ranch way out west in El Paso . 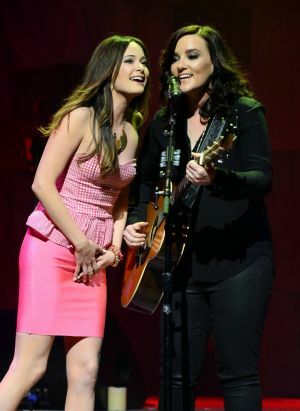 Kacey and Kelly honoured the late Johnny Cash with their adaptation of the poem To June This Morning that started as an ode by the man-in-black to his second wife June Carter Cash from 2016 book Forever Words: The Unknown Poems. CLICK HERE for our Kacey interview in The Diary on June 18, 2018. 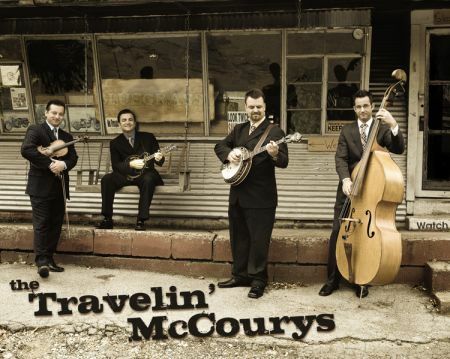 The Grammy winning Travellin' McCourys perform live in Behind Bars on their Nu Country TV debut. They perform I Live on A Battlefield on Music City Roots at City Winery in Nashville from their 2018 album. Ronnie & Rob McCoury formed the band in 2009 after learning the ropes with famous dad Del. They still tour in Del 's band, made five albums of their own and played at Del 's 80th birthday party gig in February. The current band features Ronnie McCoury on mandolin-vocals, Rob McCoury banjo-vocals, Jason Carter fiddle-vocals, Alan Bartram bass-vocals and Cody Kilby guitar-vocals. Brett Eldredge makes the most of a walk in the park on the eve of his tour here this month. Eldredge proved why he loves his dog Edgar - a Weimaraner/Vizsla mix whom he adopted in 2016. The Love Someone video shows Eldredge and Edgar enjoying classic romantic clichés. They spend an evening on a couch gazing at beautiful scenery, romantic candlelit dinner, watching a movie and sharing a bowl of popcorn, ice cream cone and even romantically holding hands. Edgar made appearances on tour, fan events and interviews and led Brett into the arms of a woman with a Golden Retriever. It was love-all for Brett, now 33, who hails from Paris. The original Love Someone video featured scenes from Eldredge's 2018 The Long Way Tour and is the latest hit from Brett's self-titled fourth album. Eldredge performs with Jon Pardi at the Forum in Melbourne CBD on Thursday May 2 during his Australian tour that includes Tamworth, Sydney and Brisbane concerts. His previous video for The Long Way was shot outside Nashville and featured him driving reality TV star Sadie Robertson of Duck Dynasty in a Chevrolet Impala. Brett locked up his younger brother in his Drunk On Your Love video when he performed as cop and singer trying to woo the same girl in a night on the town. Brett has strong bluegrass links - his cousin Terry plays with the Grascals who also perform with singing actress Dolly Parton. He debuted on Nu Country in 2011 with a war song dating back to 1943. Eldredge took viewers inside a nursing home in Raymond - poignant tale of an employee mistaken by a patient with Alzheimer's for her deceased son, who was killed at war. 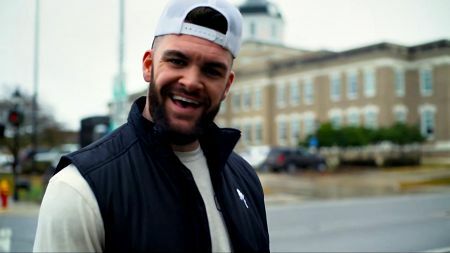 Dylan Scott kicked up mud and mirth with local peers on a visit to his Louisiana hometown Bastrop. Scott, now 28, played CMC Rocks Queensland on his Australian tour in March. Nothing To Do Town is Dylan's latest single after debut 2016 CD, re-released in 2017. Dylan first visited Nashville with his dad - who played guitar with country stars Freddy Fender and Freddie Hart - when he was 15. His great aunt was producer Tony Brown's piano teacher, and another relative, Marie Jarvis, played piano with the Blackwood Brothers and the Stamps. At just 15 Scott met wife Blair who inspired his breakthrough hit video My Girl. Their wedding was a month before his debut album release in August, 2016. Scott co-wrote seven of the 13 tunes including Hooked with expat Novocastrian Morgan Evans, Seth Ennis and Lindsay Rimes. Gippsland raised twin sisters Lee and Paula Bowman and Jetty Road band mate Julian Sammut head north to Lake Macquarie and Newcastle in their return. Newcastle marching band The Marching Koalas , local dancer and performers joined them in Because We Can at heritage listed decommissioned Rathmines RAAF Base. “It was so much fun to shoot and definitely the largest cast we've ever had,” Paula revealed. Although filming was complex the song's message is simple. 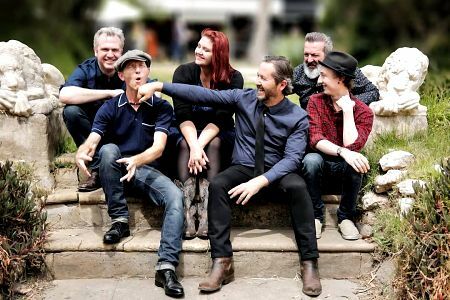 Because We Can is the 21st video by Jetty Road , now celebrating their 14th year in a joyous celebration on their sixth album that follows Hearts On Fire. Jetty Road performed international concerts and festivals on rolling prairies of Canada, peaks and valleys of Switzerland, Germany, Belgium, Norway, France, Denmark, Austria and honky tonks of Lower Broadway in Nashville. They recorded fourth album Far Away Places in Vancouver , Canada . CLICK HERE for a previous Jetty Road CD review in The Diary on December 13, 2010. They performed inside the caravan before drummer Max Tulysewski escaped to the cliff top and one of his drums rolled down to the sea. Never Be Fine is fourth single on their self-titled 2017 album and depicts a jilted lover who makes it her mission to never be fine again. “It was written from a woman's perspective and sung by Steve Lennox about a woman who was going to be miserable to spite their former lover,” songwriter Wren Heggart revealed. Humorous chaotic undertones ignite the song that energises audiences. “It's a revenge that totally backfires and I reckon a lot of people relate to it,” Wren added. “They've either been at the receiving end or it reminds them of themselves. “We are cramped in a caravan and crazy stuff goes down. I think the video will be one that people will want to watch it again because it is so funny. “In that caravan, we are having a lovely jam, making cheese toasties, it's all cute and charming, then we get on each other's nerves and we're all crammed into this caravan with instruments, so the drummer gets kicked out and storms away. The Heggarties played Bluebird Café during the 2018 Americana festival in Nashville . The band - Wren and Paul Heggart, Steve Lennox, Tim Bodman, Tulysewski and Paul Cooper released Never Be Fine on October 2, 2018.